A tough par 4 to start the back nine. A fairway wood or an iron off the tee as accuracy is important. 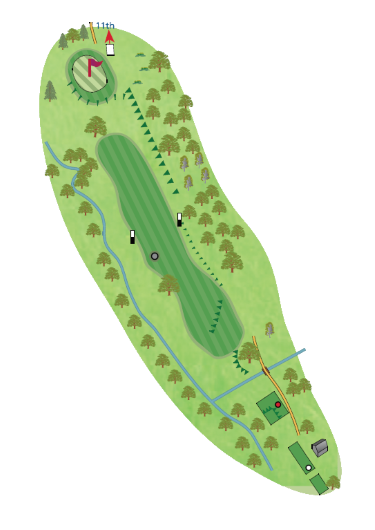 From the large oak on the left half of the fairway it still leaves a long iron or another fairway wood into a plateau green; favour the right side as the contours will bring any shot in from that side. No bunkers on this hole, but far from easy, with water running the entire length of the hole.